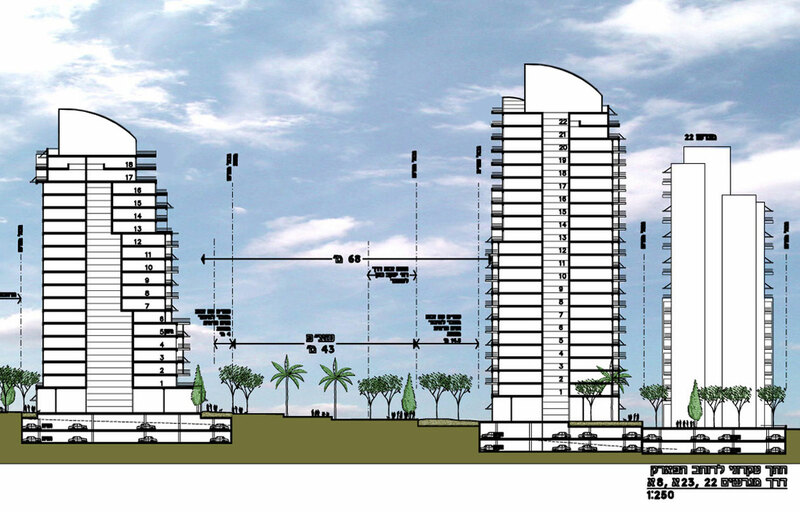 A detailed urban design and rezoning plan for a new mixed use quarter in the center of Holon, with 1500 dwelling units in 20 to 25 story buildings, all along a new wide pedestrian boulevard, a large plaza next to new Holon Design Museum and Meditec..
Our Z2 Design Tower is located within this plan. 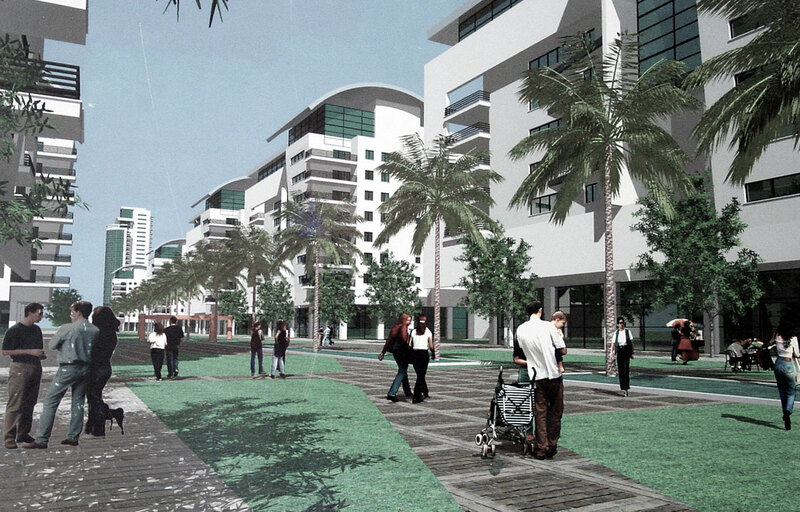 Conceptual boulevard landscaping was proposed by Jean Paul Vigier, Paris. 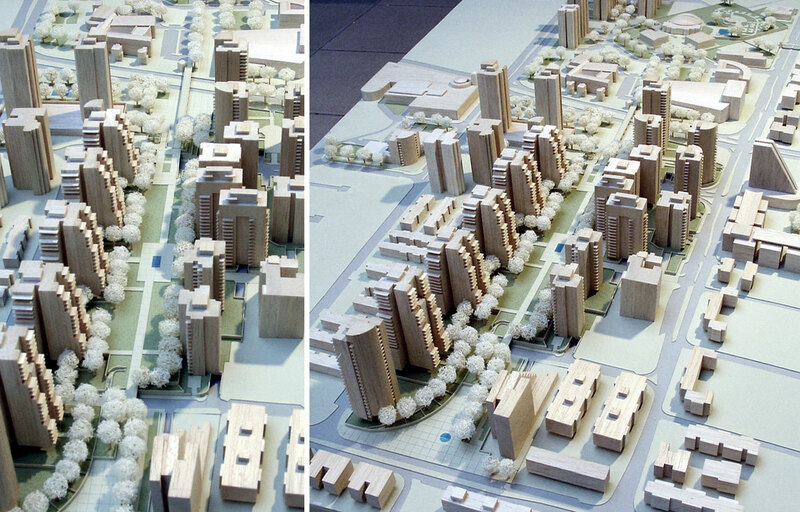 A detailed urban design and rezoning plan for a new mixed use quarter in the center of Holon, with 1500 dwelling units in 20 to 25 story buildings, all along a new wide pedestrian boulevard, a large plaza next to new Holon Design Museum and Meditec.. 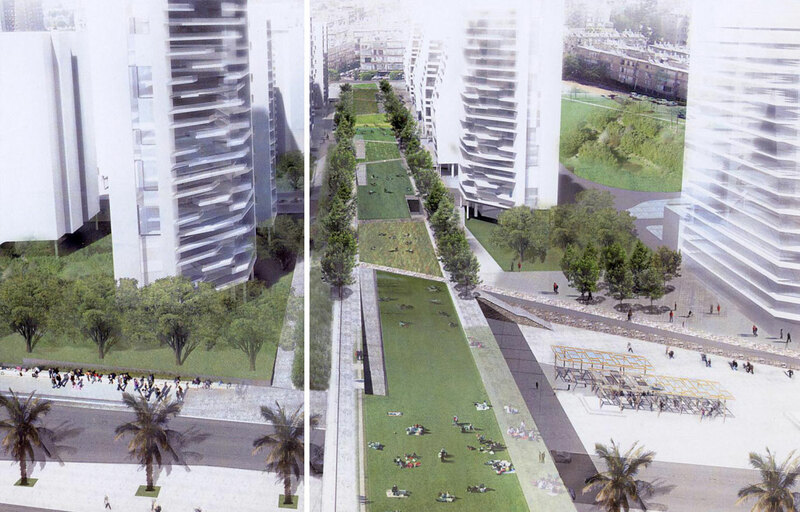 Conceptual boulevard landscaping was proposed by Jean Paul Vigier, Paris.